With all the medical drama lately, I’ve neglected posting my race report from the fourth Six Pack race, a four miler. 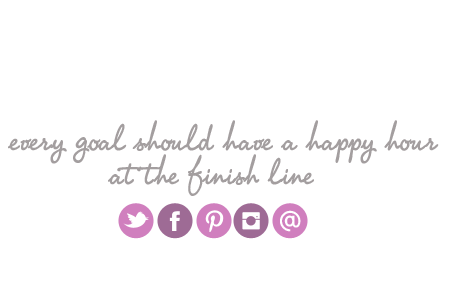 But as I’m already thinking ahead to new races (did you enter my giveaway for a free entry to the Spring Equinox race on March 26th? ), I wanted to take some time to reflect on this race that I ran on February 26th, and how it went. The 3W Six Pack series is designed to help you stay in shape over the winter, and also help you get more fit – by increasing the distance of each race. 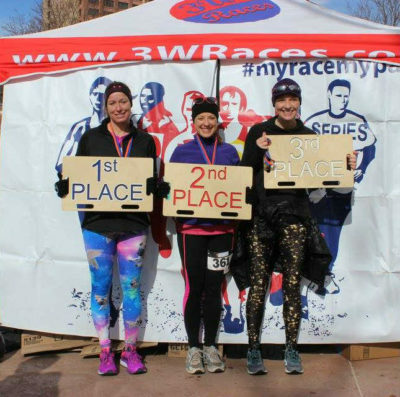 The first three races give you a choice between a 5K and a shorter distance (1 miles, 2 miles, 3 miles, respectively), and the last three races give you a choice between a 5K and a longer distance (4 miles, 5 miles, and 6 miles). I had been doing the 5Ks so far, but now it was time to bump that up by going for the four miler. Although I hadn’t trained for the four mile specifically, I reminded myself that it was basically just a half mile out-and-back after the regular 5K course that I had been doing for the last three races. Well, turns out that you actually do the out-and-back extra 0.9 before you start the regular 5K course, but that was fine by me; it meant that the runners doing the 5K would be a bit more spread out by the time the four milers headed over to that course. Race day dawned at a reasonable winter temperature in the high 20s – not as warm as the last Six Pack race, when I had worn shorts and a tee shirt, but I also knew that I wasn’t going to be freezing cold if I dressed appropriately. (Unlike the first Six Pack where it was literally 12 degrees, and even gloves couldn’t keep my hands from going numb.) 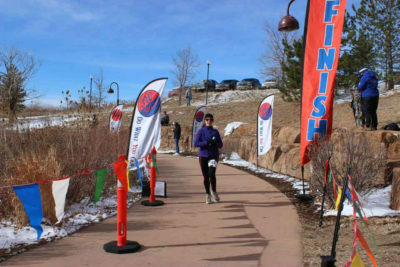 I had on running tights, a tank top, a fleece, a headband, and gloves, and while it was a little windy at packet pickup, I knew from that brief period out in the cold that I’d be fine during the race. Still, I once waited inside the hotel lobby for the start, and came out just a few seconds before the 5K runners took off. I lined up toward the front of the 4 milers, happy to see that my friendly competition for a podium spot, Heather, was also up there. It was a pain last time when she was in the first corral and I was in the second, because we had no idea where each other were. I beat her by only a fraction of a second, and while I was proud to beat her for the first time in this series, I felt like it didn’t really count as a win when she had no way to know that I was running the same pace as her. Clearly she wasn’t making that mistake this time! But this time, it was me that made a mistake: going out way too fast. When the gun went off, I charged forward down the hill at about a seven minute pace – and for a few glorious minutes, I was out in front of Heather. But just as I began to harbor dreams of perhaps staying the first female and winning the race, Heather passed me at about the half mile mark – and I never caught up to her again. I passed the one mile marker on the course at about 7:10. My primary goal for the race was to finish sub-30 (which would be a 7:28 pace), so that meant I was right on track, or even a little bit ahead. But I knew I wasn’t going to be able to hold my pace and that the next three miles would be slower; I just wasn’t feeling energized enough to keep it up. Instead, I roughly calculated what I would need to do to reach my backup goal, which was to finish sub-32 (since that would mean a sub-8:00/mile pace). Okay – I could do this. Mile 2 was spent trying not to think about how far I had to go, and trying to look ahead on the course to figure out the best way to pass the 5K walkers while still running the tangents. But once I hit the 2 mile mark, I felt okay about what I had left (even though I had slowed down significantly to run an 8:12 second mile). The mile 2 marker was about 2/3 of the way through the out-and-back 5K, which broke up the course nicely. It felt like I was so close to the turnaround, and I knew from previous races that the way back from the turnaround never felt that long either. I like doing courses that I’ve done before! As I approached the turnaround, I saw Heather coming back the other way – she was about 30 seconds in front of me, and I knew that I wouldn’t be closing that gap. But I was in second place, and that felt like a victory in itself. 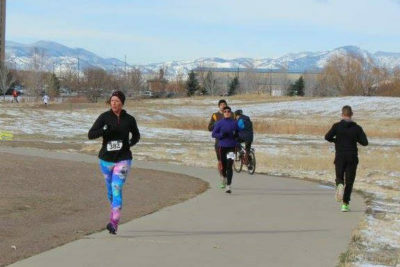 After the turnaround, when I headed back the other way, I also realized that there weren’t any other four mile women in the near vicinity – so as long as I didn’t slow way down, I could probably hang onto second place. Only about twelve minutes / 1.5 miles to go! I have to say, running so many marathons has made it seem much more doable to hang onto a pace and make it feel like “only 1.5 miles” to go :) I’m really grateful for that experience. My third mile was a little bit faster than my second, and my watch clocked me at 7:52. That meant my second and third miles basically averaged an 8:00 pace, and since my first mile had been about 45 seconds under an 8:00 pace, I should be able to go sub-32 as long as I didn’t slow way down. I didn’t quite have the mental math skills to figure this all out at the time, though. I thought it was going to be close, so I kept trying to push the pace so I wouldn’t come up short! Finally, I recognized a dip in the road where the course goes under a bridge, and then you shoot out pretty close to the finish. My watch was just approaching 30:00 at that point, and that was when I realized I’d finish well before 32:00. Woo hoo! I picked up the pace a little bit as I went over the final bridge before the finish chute, and ended up crossing in an official time of 30:33. Red sunglasses c/o Chik Fil-A, since I had inadvertently left my real racing sunglasses at home and scrounged for these in the door pocket of my car. After crossing the finish line and getting my results, I learned that I had indeed finished 2nd (yay! ), and was about a minute slower than Heather. She ran the four miler at a 7:21 pace, which was exactly the pace I had done for the last 5K. For this race, in comparison, I ran a 7:38 pace. Not too bad of a slowdown for a longer distance, though I think I could have gone faster for this four miler and not slowed down quite so much. My 7:38 pace was more a product of me going out too fast and not racing my best, than it was a slowdown because of the increased distance. At least I’d like to think so, as I’m hoping to go sub-30 for the Spring Equinox Four Miler in a few weeks! Four mile overall winners! I am still in awe to be included in this speedy group. This weekend, I’ll run Sixpack #5, which is 5 miles. I don’t anticipate that I’ll be able to speed back up to that 7:21 average pace with the longer distance, but I’d like to hang onto a 7:30 throughout. We’ll see if I can make it happen! It’s been awhile since I’ve really thought about, or used, this statistic, but I think the general rule for pace is about 10-20 seconds/mile as the distance doubles. Example: A 19:57 5K is an average pace of 6:26, so a runner could aim for 6:36-6:46 pace for a 10K, 6:46-6:56 for a half marathon, and 6:56-7:06 for the marathon. Oh, and it was totally random I used 19:57 for my example! I hope this isn’t repetitive, dull, or inconsiderate, but an interesting article which offers up another perspective why I feel that you are well-suited to meet your current goal. I’m much slower than that right now! :) I think I need to get used to pushing myself a bit harder. I ran a 7:35 pace yesterday for a five miler. I don’t want to be too weird or silly so I found an old post to leave a comment. Is that even more weird? I trust life is getting back to a healthy routine. I’ve said it before: you’re a strong Lady. And since you’re strong, and that I know you can do it, I’m always curious about the sub 20 goal. Hopefully I will learn more about the goal, and even more fun, the process of getting there in the next few months. I love reading your personal reflections about your growth. Sorry for being touchy feely or sentimental. I just wanted to share.